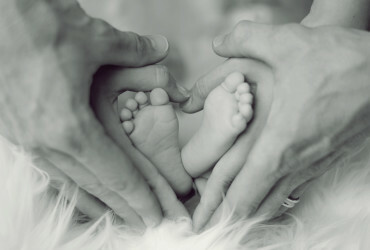 Cancer destroys not just the body and mind, but a family’s finance. By the time is it done, it makes sure there is nothing left to build. General health insurance does not help, and even the most comprehensive plans cannot cover for the entire treatment. The logical step would be to get a critical illness cover. 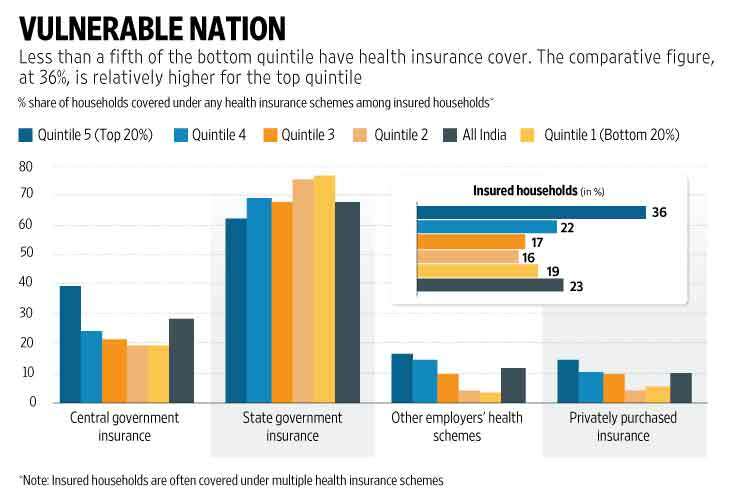 Less than 20% of all Indians are covered under health insurance. 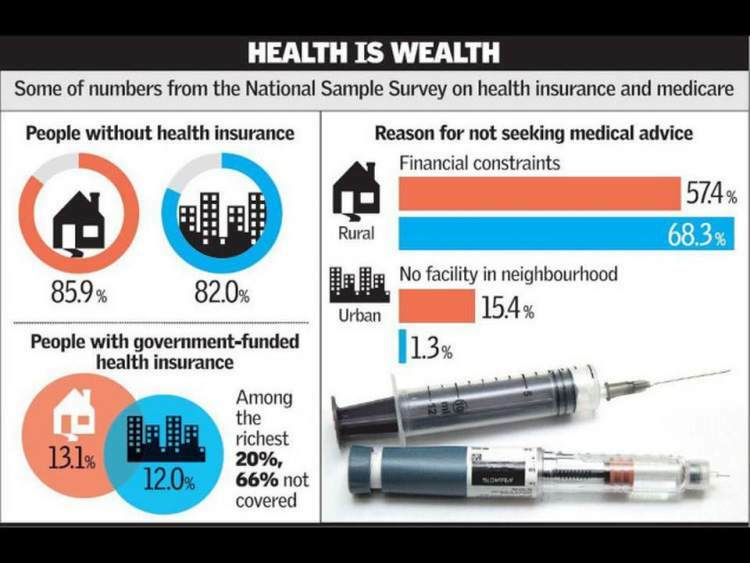 Over 80% of Indians are still uninsured, some because they are unaware that they can benefit from government health insurance. 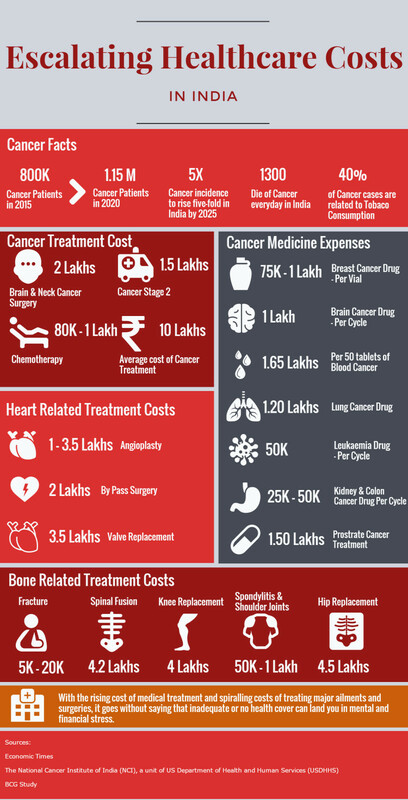 Here are some government schemes that can help fund your cancer treatment. The Ministry of Health & Family Welfare offers the Health Minister’s Cancer Patient Fund (HMCPF) under Rashtriya Arogya Nidhi. This is available for patients living below the poverty line. Download the application here. Fill the form and have it signed by the treating doctor and countersigned by the Medical Superintendent of the Government hospital/institute/Regional Cancer Centre. Submit a Copy of the income certificate. Submit a Copy of the ration card. Kamala Nehru Memorial Hospital, Allahabad, Uttar Pradesh. Kidwai Memorial Institute of Oncology, Bangalore, Karnataka. Regional Cancer Institute (WIA), Adyar, Chennai, Tamil Nadu. Acharya Harihar Regional Cancer, Centre for Cancer Research & Treatment, Cuttack, Orissa. Regional Cancer Control Society, Shimla, Himachal Pradesh. Cancer Hospital & Research Centre, Gwalior, Madhya Pradesh. Indian Rotary Cancer Institute, (AIIMS), New Delhi. R.S.T. Hospital & Research Centre, Nagpur, Maharashtra. Pt. J.N.M. Medical College, Raipur, Chhatisgarh. Post Graduate Institute of Medical Education & Research (PGIMER), Chandigarh. Sher-I- Kashmir Institute of Medical Sciences, Soura, Srinagar. Regional Institute of Medical Sciences, Manipur, Imphal. Govt. Medical College & Associated Hospital, Bakshi Nagar, Jammu. Gujarat Cancer Research Institute, Ahmadabad, Gujarat. MNJ Institute of Oncology, Hyderabad, Andhra Pradesh. Pondicherry Regional Cancer Society, JIPMER, Pondicherry. Dr. B.B. Cancer Institute, Guwahati, Assam. Indira Gandhi Institute of Medical Sciences, Patna, Bihar. Acharya Tulsi Regional Cancer Trust & Research Institute (RCC), Bikaner, Rajasthan. Regional Cancer Centre, Pt. B.D.Sharma Post Graduate Institute of Medical Sciences, Rohtak, Haryana. Sanjay Gandhi Post Graduate Institute of Medical Sciences, Lucknow. Government Arignar Anna Memorial Cancer Hospital, Kancheepuram, Tamil Nadu. Also under The Ministry of Health & Family Welfare, the HMDG offers up to a maximum of Rs. 50,000 to poor patients in cases where free medical facilities are not available at government hospitals. Only those having an annual family income up to Rs.1.25,000 and below are eligible for financial assistance of up to 70% of the total bill. Applicable for retired Central Government employees & dependents, which offers coverage for cancer treatment at approved rates from any hospital, apart from the hospitals set up under CGHS. All Central Govt. employees drawing their salary from Central Civil Estimates and their dependent family members residing in CGHS covered areas. Central Govt. Pensioners/family pensioners receiving a pension from central civil estimates and their eligible dependent family members. Sitting and Ex-members of Parliament. Sitting and Retired Judges of Supreme Court. Retired Judge of High Courts. Journalists accredited with PIB (in Delhi). Employees and pensioners of certain autonomous/statutory bodies which have been extended CGHS facilities in Delhi. Delhi Police Personnel in Delhi only. Post and Telegraph Department employees. An Ayushman Bharat initiative, the National Health Protection Scheme provides coverage up to 5 lakh rupees per family per year for secondary and tertiary care hospitalization. Head to this page to learn more about this. 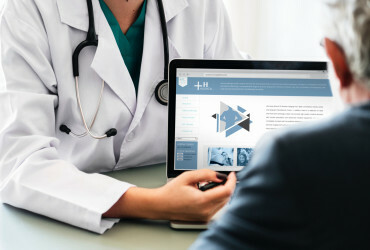 Originally intended for victims of natural disasters also provides partial coverage for heart surgeries, kidney transplantation, cancer treatment, and more such treatments. Check if your hospital is listed here. Submit to the PMO along with 2 passport-size photographs of the patient, copy of residence proof, original medical certificate detailing condition and estimated expense, income certificate. States/UTs (with Legislature) have set up Illness Assistance Fund that offers coverage up to Rs. 1 Lakh for cancer treatment at government hospitals within the state. While some states do not have this scheme, Karnataka, Madhya Pradesh, Tripura, Andhra Pradesh, Tamil Nadu, Himachal Pradesh, Jammu & Kashmir, Maharashtra, West Bengal, Kerala, Mizoram, Rajasthan, Goa, Gujarat, Sikkim, Bihar, Chhatisgarh, Jharkhand, Haryana, Uttarakhand , Punjab and Uttar Pradesh and the NCT of Delhi and Puducherry support it. Submit with BPL card and two photographs at the government hospital. Under this, states provide financial assistance to the poor for cancer treatment. You can find complete details of the financial assistance available in your state at this link. Did You Know About The National Policy For Women (Draft)? 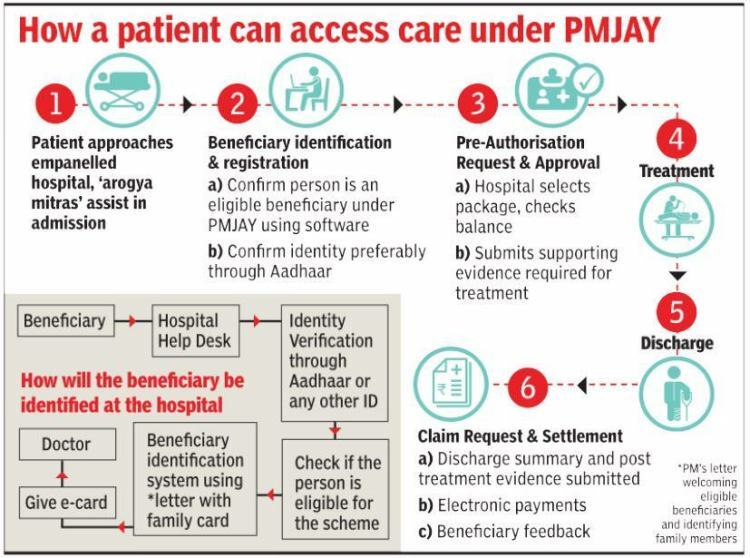 Aadhar-linked Health cards provided under the scheme to single, widowed, medially weak and elderly women, can be used to avail subsidized cancer treatment. The policy is still pending approval. Follow this story for future updates. Click here to read about provisions proposed under this draft policy.